Last week saw the release of a recently retired Topps brand as a Walmart exclusive set. Available at Walmart stores only are boxes of Topps 2016 Bowman Platinum, and it includes everything you have come to expect from the set. It is filled with a ton of prospects and puts them on an attractive looking card for the more discerning collector. Go here for a complete checklist. 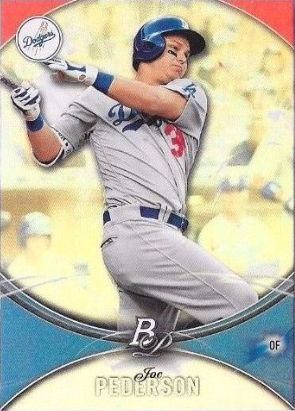 There are 100 cards in the base set, and five different Dodgers can be found within it. See them below. I hope to have pics of the various inserts in a few days.